As a leader, you will need to hone leadership negotiation skills to cope with a multitude of situations. Whether you are mediating in a difficult breakdown in communication, working on a complicated client deal, or negotiating a new pay deal or change in working conditions, the likelihood is that there will be some compromise needed to reach an agreeable solution. An agreement that ends with an enforced deal will break down. Real breakthrough is achieved when both sides can claim victory, and your needs and those of the other party are both satisfied. The real outcome is the creation a positive environment to move forward together. Opening first always gives the other party the upper hand in negotiations. Let them make the first offer: this way you’ll have a better feel for the limits under which you’ll be negotiating. If a better than expected offer is made, you may be able to negotiate even better. Improve your emotional intelligence and you’ll improve your leadership negotiation skills. If you ask for more than you expect to receive, you may be pleasantly surprised by the response. Setting the bar high allows greater wiggle room to negotiate down. In addition, it is unlikely that the other party will walk away from negotiations at this point, so starting high has very little cost. The most successful negotiators are those who communicate well. Understand the person with whom you’re negotiating, and how to assess their likely reactions and your communication skills will improve. Lack of communicative ability will hold you back, while well-rounded interpersonal skills will propel your leadership career. 6. Once the deal is closed, stop negotiating! As you progress in negotiations, you’ll hit several mini-closes. This might be the conclusion of a point you want to make, a story you wish to tell, or fine details you want to discuss further. Once you have said what you need to, stop talking. Let the other person have their say and put their point across. Not only will you better understand the conterargument or need, you’ll also gain respect for listening well. Connect with your people and create working relationships that help to progress the organization and the individual. Learn what makes your people tick, and take a genuine interest in their wellbeing: you’ll find that in any negotiation, having a set of shared values and common goals will enhance the potential for a positive outcome. Contact Forward Focus today to discuss our Management Development Series, including our Energy Leadership Program that helps develop high performing managers into inspirational leaders that understand the importance of leadership negotiation skills. 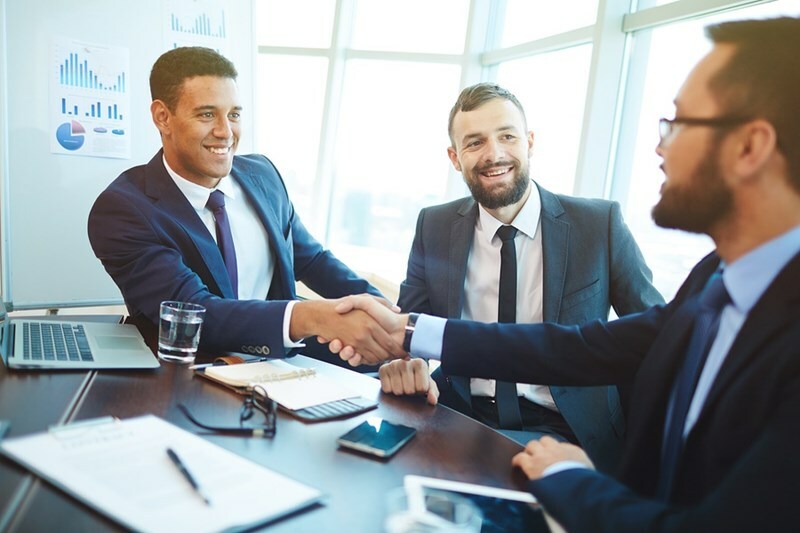 For companies seeking executive coaching in NJ, leadership coaching programs from Forward Focus provide the tools to move executive careers and their companies ahead.